Matt Campbell, age 49, of Aurora, passed away on Saturday, May 5, 2018, at his home after a courageous battle against cancer. Funeral Services will be held at 2:00 P.M., Thursday, May 10th at the Aurora United Methodist Church. Rev. Ron Harris and Mark Hartley will officiate. Interment will be in the Aurora Cemetery. Visitation will be from 4 - 7 P.M. on Wednesday at Aurora United Methodist Church, 1104 A Street, Aurora. In lieu of flowers, memorials may be made to the family to designate at a later date. Higby-McQuiston Mortuary is in charge of arrangements. Condolences may be e-mailed to the family through the mortuary website at www.higbymortuary.com. 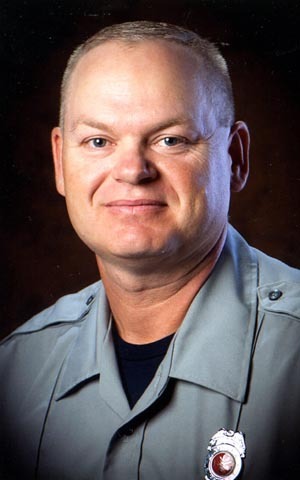 Matt Emil Campbell, the son of Keith and Rosanna (Larson) Campbell, was born in Holdrege, Nebraska on January 14, 1969 and passed away in Aurora, Nebraska on May 5, 2018, at the age of 49. Matt moved with his family to Aurora at a young age and graduated from Aurora High School in 1987. Matt was united in marriage to Delcy Glinsmann on July 8, 2017 at St. Paul, Nebraska. Matt worked at IAMS Pet Care for 25 years and five years for the Hamilton County Ambulance Department. He was a life-long resident of Aurora. Matt was a 25 year member of the Aurora Volunteer Fire Department. He was a lifelong member of the Boy Scouts, serving as Scout Master of Troop 131, Order of the Arrow and earning the Eagle Scout designation. He was mayor of Nattyville, member of the River Rats and Wild Dogs. Matt loved camping, fishing, jeeping and spending time on the river, riding motorcycles, gardening, BBQing, hosting summer get togethers and spending time with family and friends. He loved the outdoors and people. Anytime anyone needed anything Matt was there to help, sometimes before they even knew it. He was preceded in death by his parents; infant sister, Lela Campbell, grandparents and nephew, Christopher Campbell. Those who remain to cherish his memory are his wife, Delcy of Aurora; children, Brenton (BJ) (McKenna Mills) Campbell and granddaughter, Willow Campbell, Taryn Campbell, Marissa Campbell, Conner Schneider, Amanda Schneider; mother-in-law, Annie Iiams: siblings, Mark Campbell, Paul (Ruth) Campbell, Lora (Kirk) Taylor, John (Lisa) Campbell, Mary Sue (Gene) Meyers, Sara Campbell and Gina (Will Nalley) Giboo; nieces & nephews, Sarah (Sam Smith) Campbell, Brad Marco, Ryan (Teri) Marco, Scott Rabes, Daniel Rabes, Deanna Meyers, Keith Giboo and Katie (Max) Giboo and many other family members and friends.